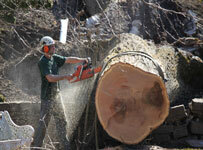 With over 20 years’ experience, McLellan Tree Service, Inc. is still growing to meet the needs of our customers. Our educated work force, desire to excel, plus thousands of satisfied customers make us the premier tree service company we are today. At McLellan Tree Service we believe that investing in the right equipment is critical to the success of any job regardless of size. That’s why we invest so much in top quality, state of the art machinery. Need your new site cleared? We can handle it! 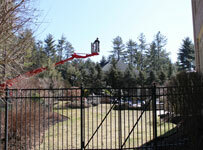 Want your trees pruned by licensed arborists? We’re on it! How about stump grinding, tree spraying, and lightening protection? We have the experience, dedication, equipment and highly trained workforce to add value to your property. We can handle all types and sizes. But no matter what size job, one thing remains consistent: Our commitment to excellence. We’ll get the job done right, on time, with no hassles. It’s that simple. After all, when you have the right equipment you can do things right – the first time.